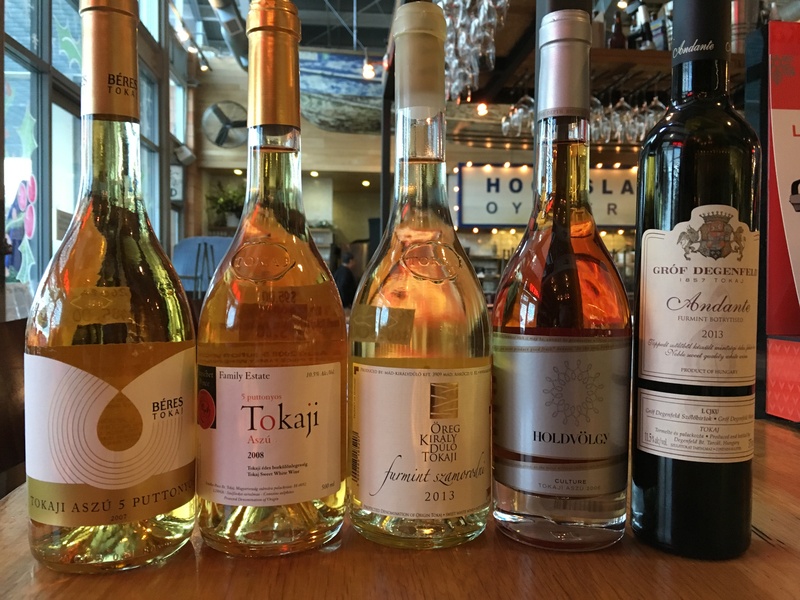 Oxbow Cheese & Wine Merchant has in stock a fine and rare collection of fine Tokaji dessert wines from the historic region of Tokaj, Hungary. Many Americans reflexively dismiss dessert wines out of hand, in the mistaken notion that admitting they enjoy them somehow brands them as unsophisticated. In fact, nothing could be further from the truth, as some of the world’s most collectible, age-worthy and treasured wines are sweet. Tokaj has centuries of fame and was a favorite of the 18th Century French kings, the Hapsburg Court, and the Russian Tsars – so much so that it has come to be known as “the wine of kings and the king of wines.” These delicious wines can be served with simple fruit-based desserts such as poached pears or an elegant tart. Oxbow Cheese & Wine also suggests a lovely blue cheese with some fresh fruit and roasted nuts — a particularly nice way to end a winter meal.